Small spaces, small prints. Choose a 5 X 7 postcard print. Add a fun frame to bring a tiny pop of color and style to any room! Add your own creativity by choosing the 8 X 10 inch print un-matted. Perfect if you're decorating a smaller space, or want to add a pop of color with your own custom mat. Purchase the double deluxe black and gold matted print, perfect for popping into a ready made 11 X 14 frame. Looking to make a bigger statement? Try Poster Sizing! Select 16 X 20 or 18 X 24 inches. Larger prints are based on standard sizing, making them easy to shop for your own ready made frame! Printed on quality paper with high color saturation. Beautiful, Wonderful Magical! Thank you! It is even more perfect in person! Vibrant colors, fun whimsical picture! Can't wait to hang! The Cinderella print is so beautifully executed! I am completely in awe of this amazing work of art!! 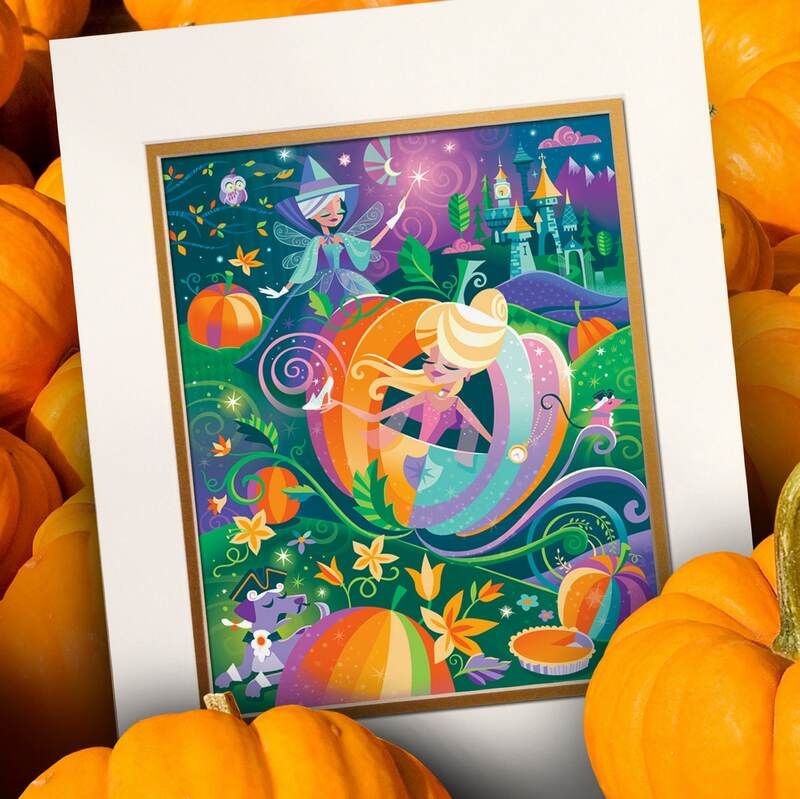 The pumpkin carriage artwork is beautiful! I've seen Jeff's work at Wonderground and I'm so glad I now own one. Planning to buy more!